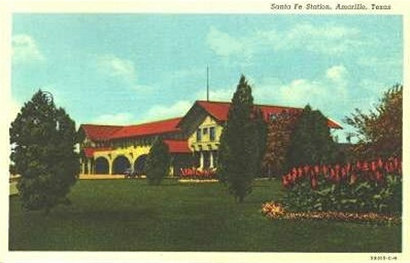 Santa Fe Train Number One, with a 3751-class 4-8-4 steam engine up front, pulled up to the red-roofed, Mission revival-style Amarillo station on time. One of the people stepping off the train at the busy depot was William Gibson, a Santa Fe employee traveling on a company pass. With his small suitcase in one hand and his well-worn tool and instrument valise in the other, Gibson walked from the station to the nearby Capitol Hotel at Fourth and Pierce. 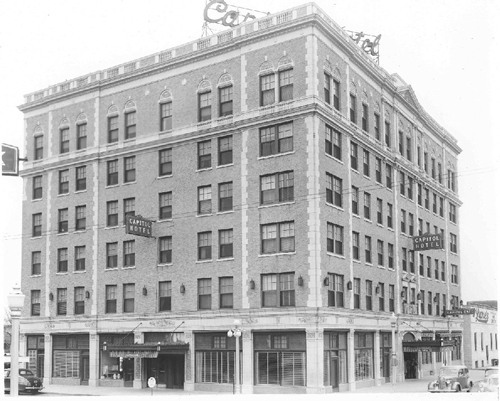 The Herring, across the street, was a bigger hotel, but Gibson liked the 200-room Capitol. At the front desk, Gibson went through a familiar routine: He asked for a south-side room on the fourth floor or higher. "Capitol Hotel in Amarillo, razed in the 1970s"
As soon as he closed the door behind him, Gibson walked to the window and looked out. His room, as he knew it would, looked down on the busy Santa Fe yard. The roundhouse had 32 train stalls and almost always was full. In the distance, Gibson saw a plume of black smoke as a freight train hit an eastbound grade on a big curve. After taking in the view for a moment, he raised the window a few inches. It opened easily � wood did not often swell with moisture on the High Plains. At nearly 3,700 feet above sea level, spring and summer nights usually are cool and humidity-free. On this night, the wind blew strong from the southeast, sucking through the cracked window. Gibson liked the fresh night air, but he had opened the window more to let in sound. Number One had boarded its Amarillo passengers and was moving slowly through the Amarillo yard. Gibson checked his watch. It was still on time. Her hogger � railroad talk for engineer � blasted the whistle as the train headed toward the 24th Street crossing. 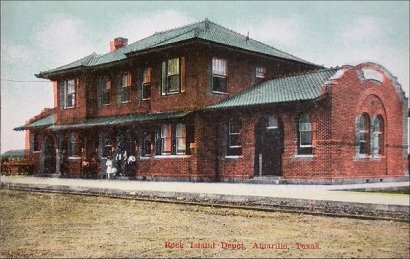 Periodically through the night, other trains moved in and out of Amarillo as most of the city slept. 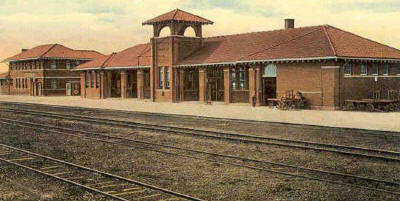 In addition to the Santa Fe track, main lines of the Fort Worth and Denver and the Rock Island Line intersected at Amarillo. The piercing notes of train whistles spread across the city and cut onto the vastness of the plains. For several generations of Amarilloans, the whistle signals of the steam engine either comforted them at night like a homemade quilt or haunted their dreams. For some, the whistles made good company, dispelling any sense of isolation; others heard the trains and felt lonesome, remembering or imagining trips taken or not taken. For all Amarilloans, those whistles � long since replaced by more prosaic air horns � represent the sound of a city�s history. 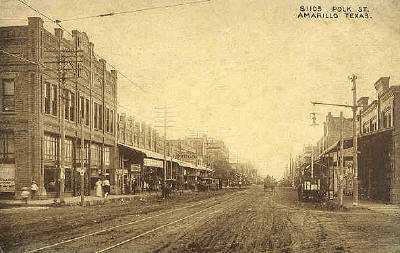 Amarillo is the largest city in Texas owing its existence solely to the railroad. Houston, Dallas, San Antonio, El Paso, Fort Worth and Austin all had other reasons to be, though railroads certainly benefited each. But Amarillo would not exist, or if it did it probably would not have amounted to much, had it not been for the iron.